Peter Carey is a zoologist who has made more than 80 trips to Antarctica, including research expeditions with the New Zealand Antarctic Programme and the Australian National Antarctic research expedition. He has also worked as a lecturer and expedition leader on many Antarctic cruise ships. 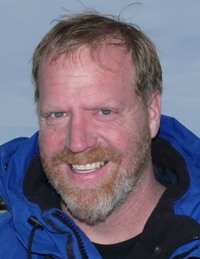 Peter has conducted research on penguin behaviour, sea-bird ecology, fish physiology and the social behaviour of seals. He visits Antarctica every summer and is working to ecologically restore a group of small islands in the Falklands Archipelago. As director of the conservation organisation SAFER (Subantarctic Foundation for Ecosystems Research), he is actively involved in improving the wildlife habitat of these islands.